I am very fussy when it comes to concealing my under eyes as I like a product to be brightening while having a medium to high coverage and to be light weight on the skin. And this concealer is just that! I have heard that this is a dupe for the YSL Touche Eclat which I have and I am not really a fan of, this concealer from Seventeen is a thousand times better than the YSL and it is so much more affordable! The Seventeen WOW! Concealer is available in two shades, Fair and Meduim (I have the Fair shade option). This concealer can be used under the eyes to conceal and reduce the appearance of dark circles and to brighten. It can also be used to highlight the cheekbones, brow bones and the cupids bow! I love the sleek gold packagaing, it has a brush applicator which you click the bottom of the pen to release the product - it does take quite a few clicks to release the product the first time you use it. I have been loving this concealer when I use it under my eyes, I find it best to apply it with the brush into a triangle shape then take my beauty blender to blend it out to make sure it doesn't crease throughout the day. You can use your fingers or any brush to blend it and I have tried it a few different ways and I find it best to use either a beauty blender or a brush to get the highest coverage possible. This concealer isn't too thick to use under the eyes and the main reason why I prefer this one from Seventeen over the YSL version is that this one actually provides some coverage. Once applied it does an incredible job at brightening the under eyes to make it look like I have had much more sleep than I usually get! As it does have a good coverage, I would say it is around a medium coverage, it helps conceal my dark circles. I usually find that I only like full coverage concealers under the eyes but as this one has brightening properties I find it works brilliantly! This doesn't crease on me at all and it lasts for most of the day, even longer if I set it with powder. 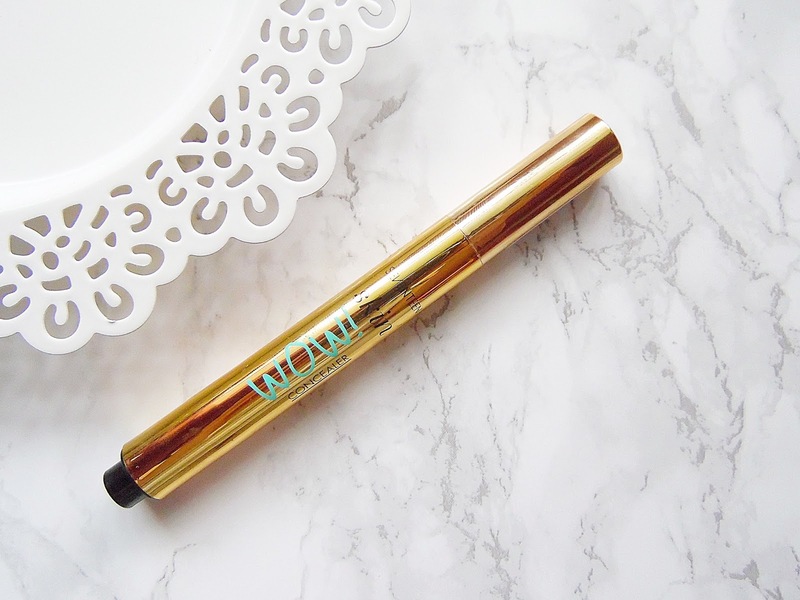 If you are looking for a new brightening concealer on a budget, this is the one. The Seventeen WOW! Concealer retails for £4.99 at Boots - HERE.